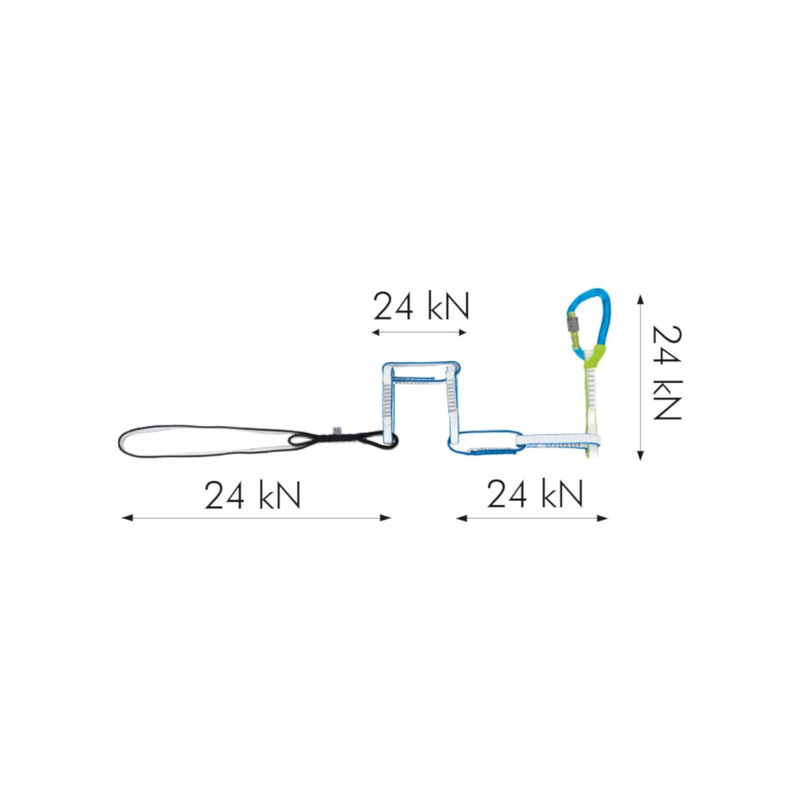 The Climbing Technology Sport Chain is a new design of daisy chain made for securing yourself at the anchor of sport routes, multi-pitches or use with an étrier. Constructed of six wide loops of single-layer Dyneema webbing, each loop is fully rated to 24 kN unlike traditional daisy chains, meaning each loop matches the CE strength of your quickdraws and carabiners, removing the "weak link" from the system. 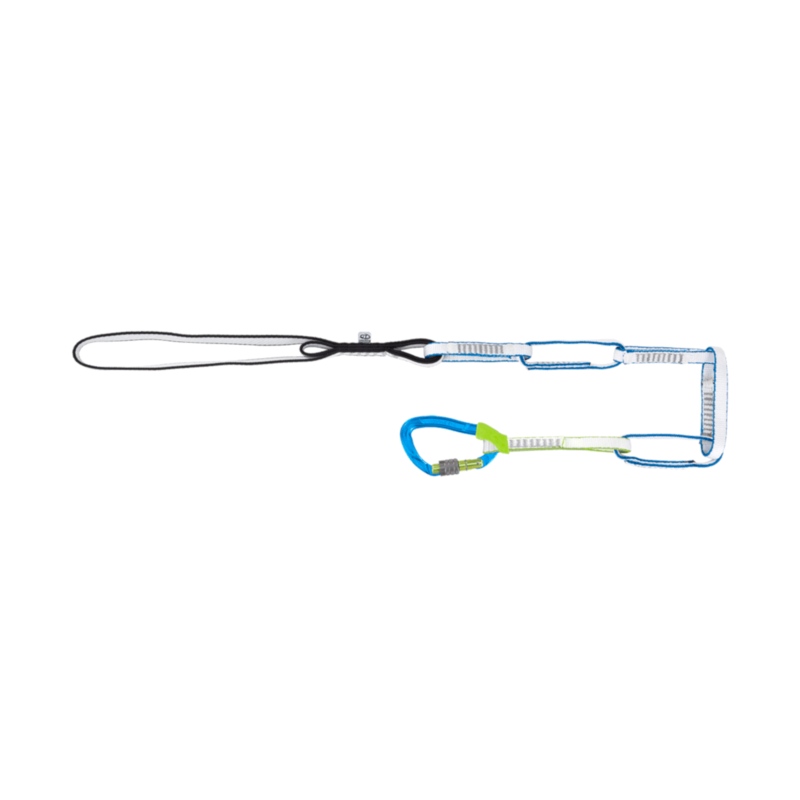 There is a sling at each end for securing the lanyard to your harness and it comes equipped with a Nimble EVO screw gate carabiner, a light alloy hot forged carabiner with ample gate opening, ideal for sport climbing and for intense use. 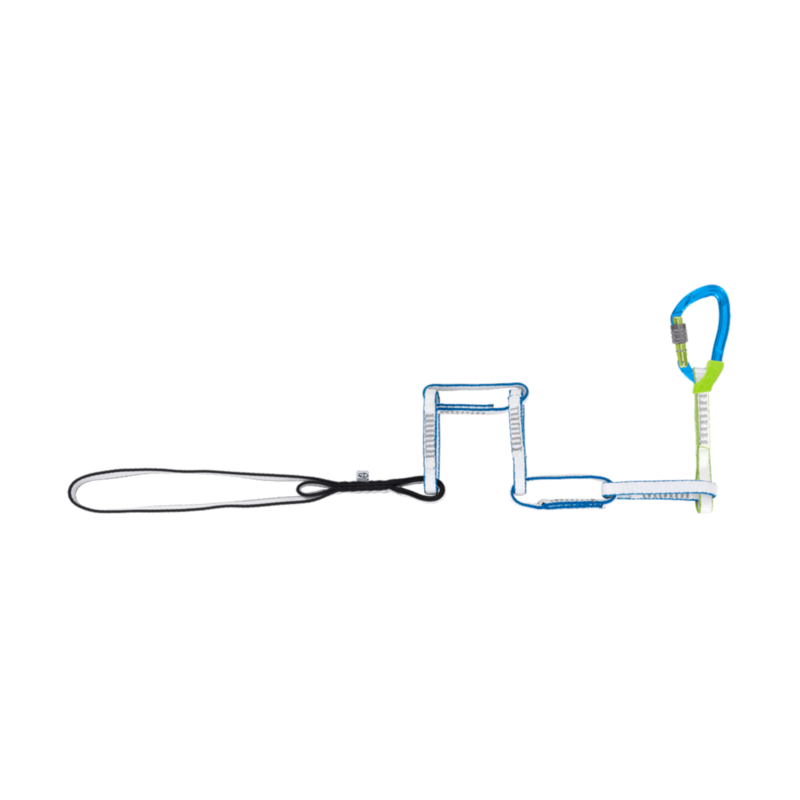 Useful for mountaineering and on multi-pitch routes, for securing to stances at belays, and for extending the belay plate when abseiling or for big-walling; creating a much safer, stronger, and reliable set up. 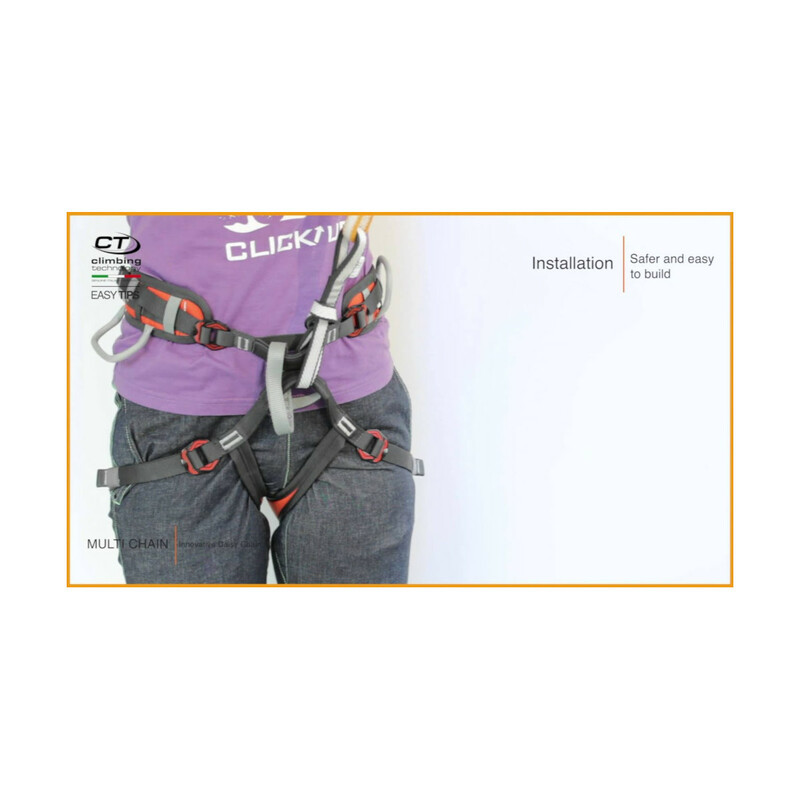 The innovative attachment loop for securing the sport chain to your harness is safer and more comfortable than the traditional girth hitch (see the video for the Sport Chain and also for the multi-chain which uses the same technology and is slightly clearer).